Are you dreaming of a kitchen renovation? 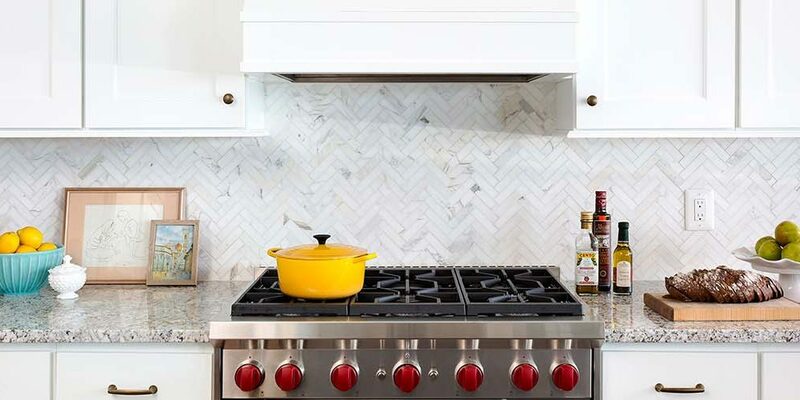 We’ve gathered together some of the hottest kitchen design trends that will bring your space on-point for 2018. Appliance Garages – keeping countertops clutter free and creating smart storage. Hiding the toaster, coffeemaker and other kitchen gadgets in their own easily accessible, counter “garage” with their own power source. Personalized Tiles – custom backsplashes are a possibility! You can select a pattern and palette from hundreds of options and digitally create the tile of your dreams. Transformative Taps – The new trend is hiding innovative systems to transform tap water into sparkling or even perfectly brewed coffee! Hardware Functionality – new technology like hydraulic, easy-close doors that fold up and out of the way with the touch of a button are becoming more common in kitchens around Halifax, especially in smaller spaces. Simple Luxury – doesn’t have to be an oxymoron. Built-in, flush mounted appliances can be both hardworking and good-looking. White Cabinets – will most likely continue to be the top pick for the New Year, but gray is quickly catching up. Soft gray cabinets have more depth then traditional flat white and also pairs well with rich wood tones. Two-tone – colours and/or finishes for top and bottom cabinets will remain popular this year and give a dramatic flair to an otherwise quiet space. Sinks – have remained stainless steel or basic white for many years. The trend for 2018 is to bring colourful sinks to the forefront. They’re an inexpensive way to add a pop of colour to your kitchen and add unique character to your space. Ultra Violet – the Pantone Colour Institute has chosen “A dramatically provocative and thoughtful purple shade, PANTONE 18-3838 Ultra Violet communicates originality, ingenuity, and visionary thinking that points us toward the future.” You’ll be seeing plenty of dark plum and dramatic purples in kitchens this year. The rich, luxurious colour will be found in backsplashes, wall colour, and accent pieces. Golden Accents – rose gold, brass and copper finishes are the trend for 2018. Warm finishes bring luxury and warmth and pair well with most kitchen finishes. Bold Fixtures – colour isn’t the only way to create an interesting space. Oversized lights can give a sense of depth and create drama. Storage – kitchens always seem to need more space to store your cooking gadgets and Costco sized packages. New clever multi-tiered drawers and slim cabinets are a homeowners dream and will maximize your space. Customizing the kitchen to work for you and your lifestyle is key for 2018. Take a look at our kitchen gallery to get some ideas for your space.